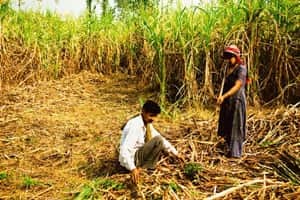 Mumbai: Sugar mills in Maharashtra, India’s biggest producer, plan to import at least 1 million tonnes (mt) of raw sugar as a reduction in crop area cuts sugar cane output. “There will hopefully be a positive decision by the end of this month," he said. “We have received an encouraging response from the government." Imports by India, the world’s biggest consumer, may worsen a global shortage and add to the past year’s 15% gain in raw sugar prices in New York. Global sugar supply will be 5.8 mt short of demand in the 2008-09 season as tightening credit spur mills to restrain output, says Czarnikow Group Ltd.
Maharashtra State Cooperative, a group of 190 mills, wants the government to permit imports on the so-called tonne-to-tonne basis, as against the grain-to-grain, which requires producers to re-export raw sugar after processing. “We should be able to re-export the imported sugar after two years, when the country is expected to be in surplus again," Naiknavare said. India’s output may drop 26% to less than 19.5 mt this year after farmers delayed crushing, according to the Indian Sugar Mills Association. Sugar cane production may fall to 294.66 mt in the year ending 30 June, 13.5% less than last year, as farmers shifted acreages to more profitable crops, the agriculture ministry said. “Recovery is less than last year because of heavy rain at key sucrose-setting stages," said Naiknavare. Maharashtra output may drop 38% to 5.6 mt, he said. Sugar production fell 21% to 1.4 mt in the first two months of the crop year that began on 1 October, from a year ago, Vinay Kumar, managing director of the National Federation of Cooperative Sugar Factories Ltd, had said on 8 December.